Steven (Chicagoland, United States) on 28 July 2009 in Architecture. 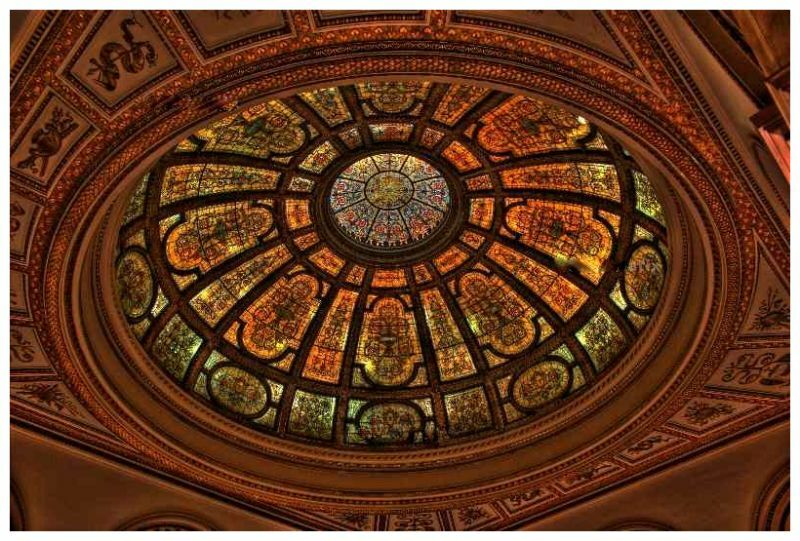 Above is a capture of the dome in the GAR Memorial Hall of the Chicago Cultural Center; what used to be the main branch of the Chicago Public Library before the Harold Washington Library opened. This photo was captured July 24, 2009. This photo was processed in HDR and the difference between this photo and the photo that I took on August 1, 2008 is amazing. Ah, yes, the process has overcome those hi-lights . . not long, now, before an in-camera HDR comes to market . . it cannot be that difficult ! HDR made this a beautiful work. Interesting Photograph. The color/tint(s) are appealing and I like the compostion. Excellent capture. Very beautiful architecture !